Our son-in-law Doug loves peanut butter. So whenever I make a dessert for him I don’t have to ask what he would like to have; I already know. It was his birthday last week, so we had his birthday dinner this past weekend. 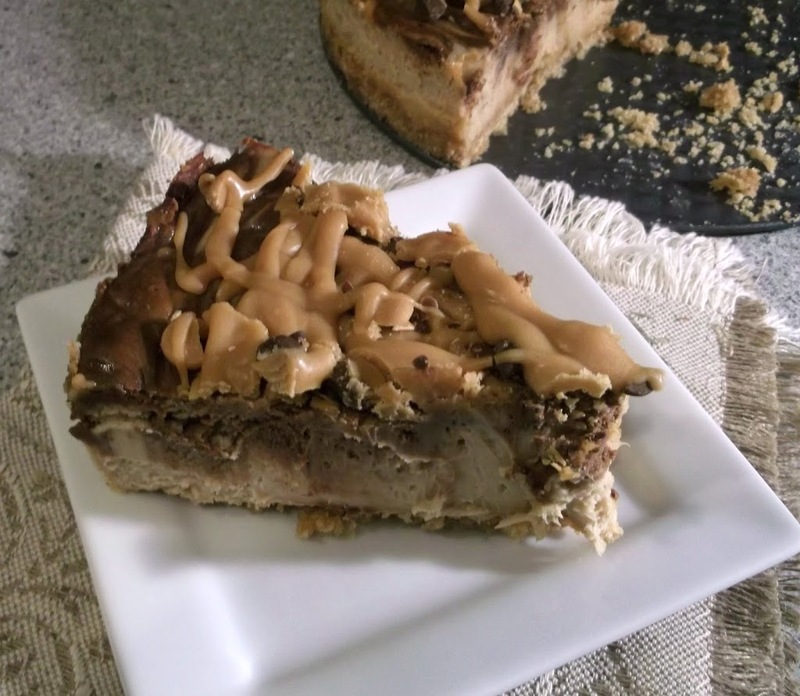 I had found a peanut butter pie recipe on one of the blogs that I follow Cinnamon Spice and Everything Nice and had pinned it awhile ago, for this very occasion. 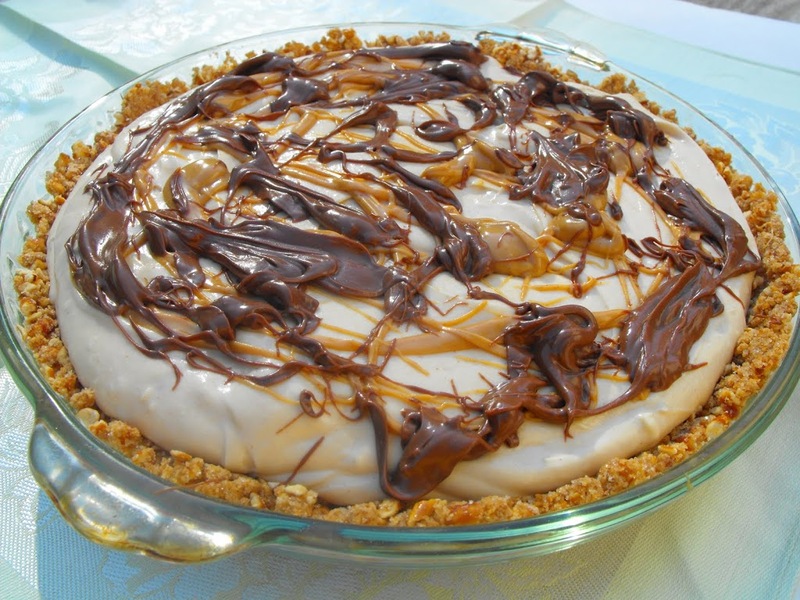 This pie is a dream come true for anyone that loves peanut butter. 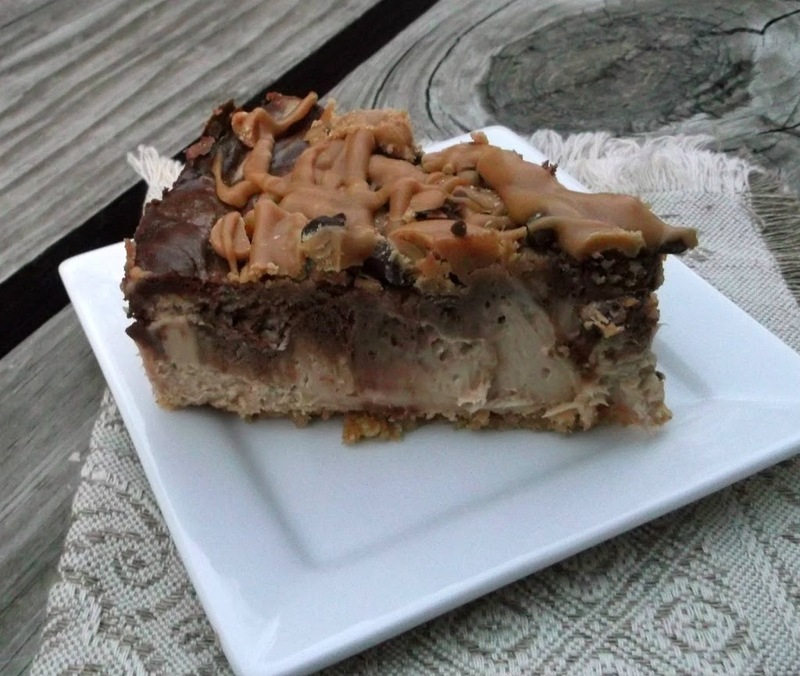 All the way from the creamy peanut butter filling to the peanut butter cups that tops off this yummy pie. I used a graham cracker crust instead of the chocolate cookie crust that was on the original recipe, but if you prefer the chocolate cookie crust feel free to use that instead. Needless to say Doug enjoyed his pie, but he wasn’t the only one that did, all of the other peanut butter lovers in the family had to have a piece too. In fact I was waiting to take pictures after we cut on the pie and had our dessert, well by the time we were done eating the pie was gone. So I was not able to take a picture of an individual piece. I guess that says it all. 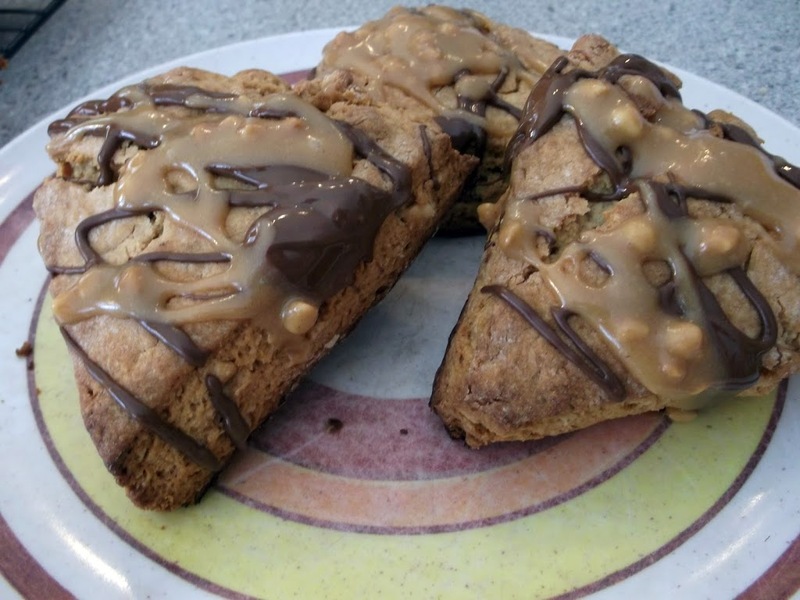 Check out Cinnamon Spice and Everything Nice, Reeni always has some amazing recipes. 1. Preheat oven to 350 degrees F. Mix the graham cracker crumbs, sugar, and chopped chocolate chips. Once the first three ingredients are mixed together mix in the butter. Press the mixture evenly into a 9 inch pie pan. Bake 6 to 10 minutes, remove from oven and cool completely before adding the filling. 2. Beat the cream cheese and peanut butter together on medium speed until light and fluffy about 5 minutes. Add Sugar and vanilla; beat on medium speed until light and fluffy about 5 more minutes. In a separate bowl beat heavy cream until stiff; when the beater is lifted it shouldn’t drip off. Add the cream to the peanut butter mixture and fold in until well blended. Spoon into the crust. Refrigerate 1 to 2 hours. 3. To make the topping combine sugar and cream in a small saucepan and bring just to a boil; remove from heat and immediately add the chocolate, butter, and vanilla. Whisk until smooth and all the chocolate is melted. Cool the mixture until it is lukewarm but still liquidy. 4. 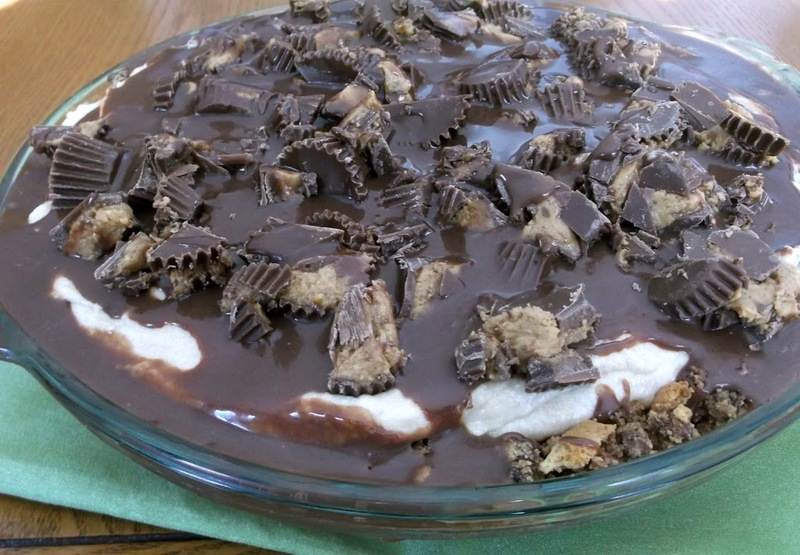 Carefully pour over the pie (you can leave a few spoonfuls for drizzling over the peanut butter cups) and evenly spread from edge to edge. Sprinkle peanut butter cups evenly over top and gently press them into the chocolate and gently press them into the chocolate. Drizzle the remaining chocolate over top. 5. Refrigerate at least 4 hours or overnight before serving. 6. Cut with a sharp knife dipped in hot water then dried; wipe clean and dip again after each cut. 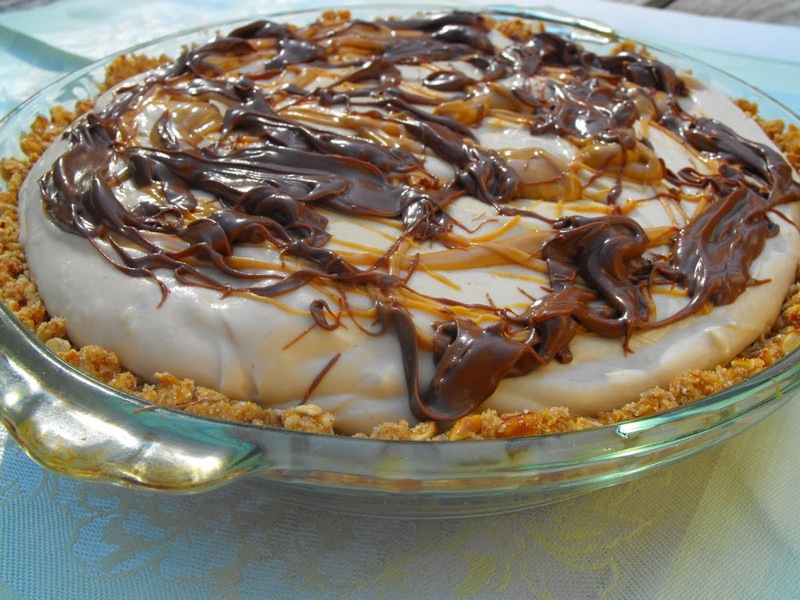 Peanut butter cream pie (with pretzel crust), a dream come true for peanut butter lovers. A while back I was waiting for an appointment; I was thumbing through a magazine while I waited. I came across a recipe for a pretzel pie crust. Wow, pretzel pie crust, I had to give that a try. Actually, the one that I saw in the magazine wasn’t quite to my liking, so I decided to make my own version of the pretzel pie crust. After I decided to make this pie crust the wheels started turning. I wasn’t quite sure what I should pair with my new discovery. While thinking about it I thought of the Take 5 candy bar, this is the candy bar that has peanut butter chocolate, pretzels, and caramel. 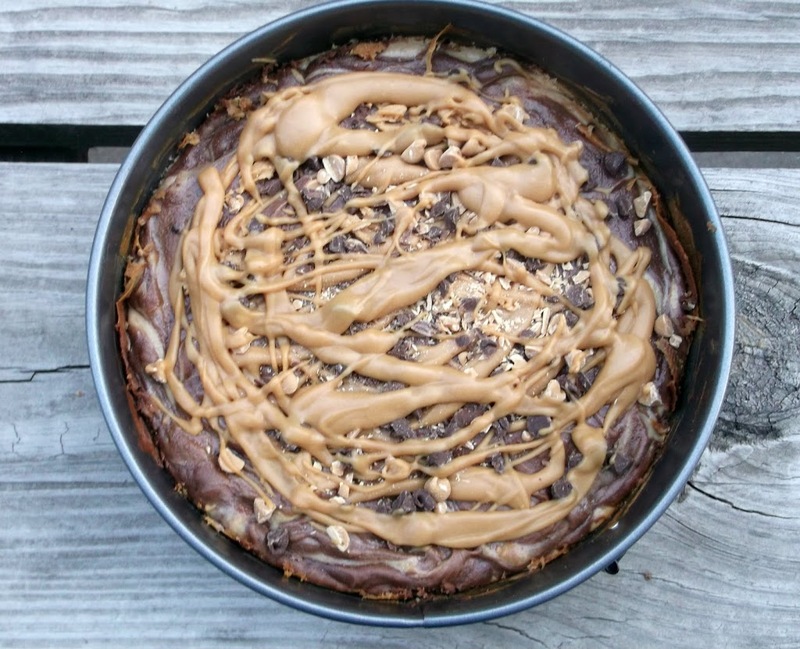 Peanut butter and chocolate sound like the ideal pie filling for this pretzel crust. 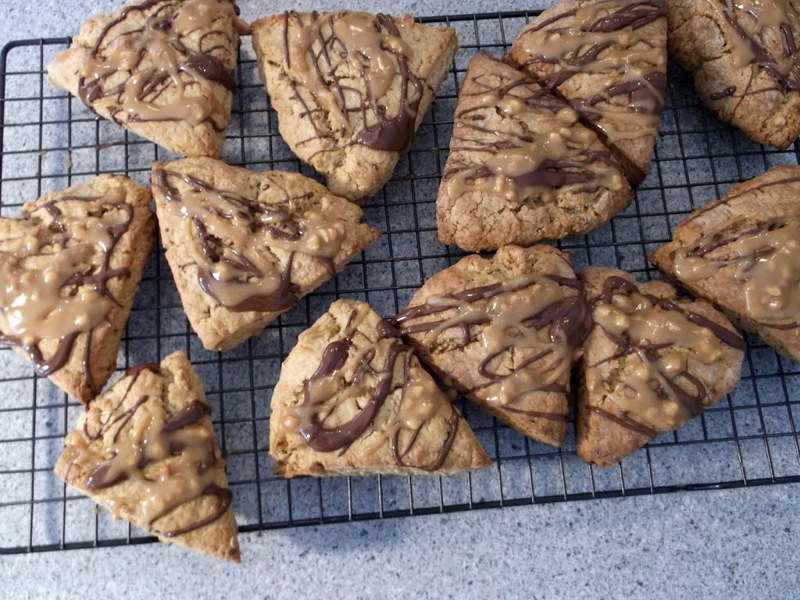 A little bit of salty flavor along with the sweet taste of peanut butter and chocolate. I don’t know what it is but there is something about these two flavors that they really compliment each other. To say the least this pie was a hit with my family! Except for Mike, he is not a lover of peanut butter. It didn’t take long and every crumb was gone. I hope you enjoy this as well. Combine 1 1/4 cups fine crushed pretzels, 1/4 cup sugar, and 6 tablespoons butter, melted. Mix all ingredients together. 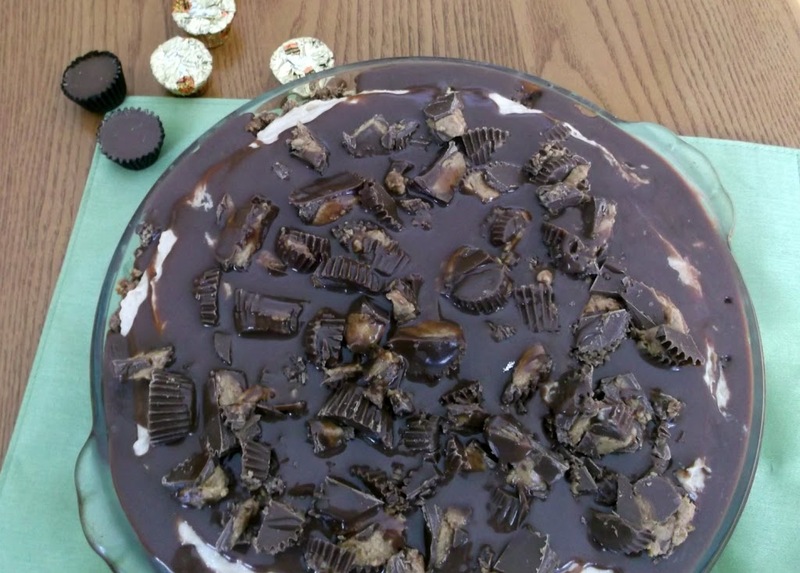 Press into a 9-inch pie plate. Bake at 350-degree oven for about 6 to 9 minutes, or until the edges start turning a little brown. Cool. In a large bowl with an electric mixer, beat the cream cheese until fluffy. Beat in the condensed milk, peanut butter, and vanilla. In a medium bowl, beat the heavy cream until soft peaks form. 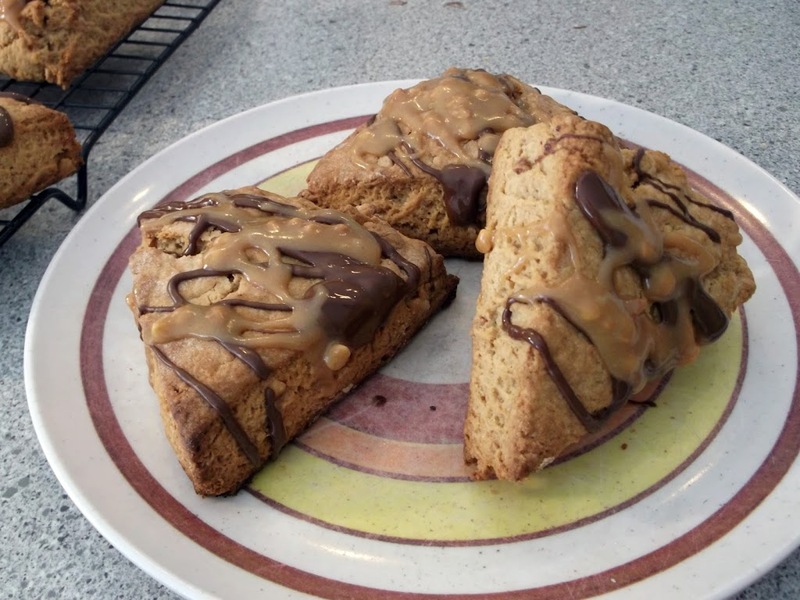 Fold the whipped cream into the peanut butter mixture. Pour the filling into the crust. (For the topping a used about 1/4 of milk chocolate chips with a teaspoon of shortening and melted the two together in the microwave. Then I took about a tablespoon of peanut butter and heated that up in the microwave just so it was a little runny. 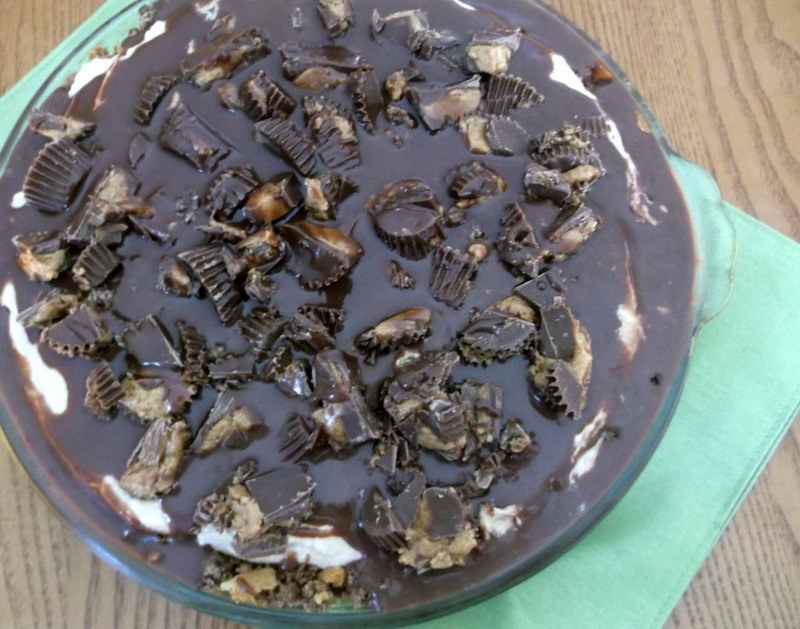 I then took the melted chocolate and the melted peanut butter and drizzled it over the top of the pie.